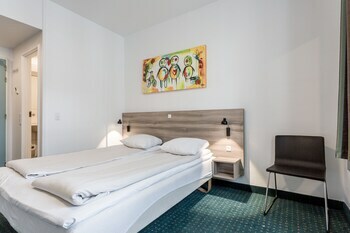 With a stay at Good Morning + Copenhagen Star, you'll be centrally located in Copenhagen, minutes from Oksnehallen and Tivoli Gardens. This hotel is within close proximity of Tycho Brahe Planetarium and City Museum. Make yourself at home in one of the 134 guestrooms. Complimentary wireless Internet access keeps you connected, and cable programming is available for your entertainment. Bathrooms have showers and hair dryers. Conveniences include desks and coffee/tea makers, and housekeeping is provided daily. Enjoy recreation amenities such as bicycles to rent or take in the view from a terrace. Additional features at this hotel include complimentary wireless Internet access, a television in a common area, and tour/ticket assistance. Enjoy a satisfying meal at a restaurant serving guests of Good Morning + Copenhagen Star. Quench your thirst with your favorite drink at a bar/lounge. Buffet breakfasts are available daily from 6:30 AM to 10 AM for a fee. 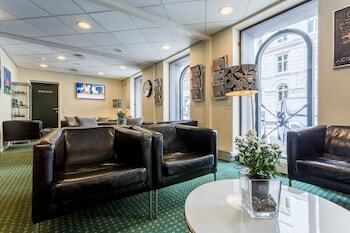 Copenhagen Star Hotel is an ideal Copenhagen lodging choice for your trip to Denmark. 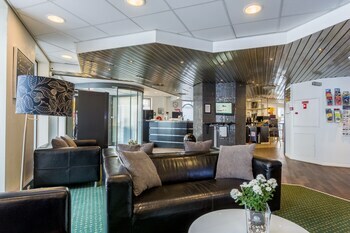 With numerous amenities for guests such as 24 hour front desk, parking - self, dry cleaning service, you will wake up at Copenhagen Star Hotel feeling ready to go every day for your time in Copenhagen. 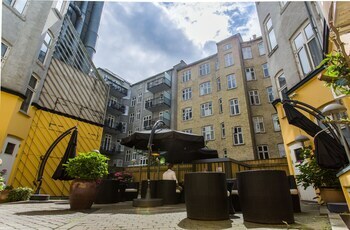 Don’t let this amazing reservation opportunity pass you by, book your stay at Copenhagen Star Hotel today to make the most of your time in Copenhagen, Denmark.